In this hands-on, two-day workshop, Condé Nast User Experience Lead Laura Cochran will help you use prototyping to refine your ideas with your audience at every stage of your project. What is a prototype, you ask? It's a visual communication tool that helps convey a possible future state to your stakeholders - the audience, team members and management who are investing in the idea. 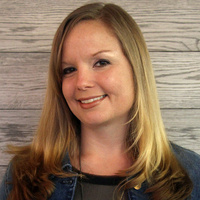 Laura will teach you four prototyping methods. Then, you will create a prototype of your own and get feedback on it. First workshop: Thursday, October 29 7:00-9:30 p.m.
Second workshop: Thursday, November 5 7:00-9:30 p.m. Journalism + Design is a new interdisciplinary undergraduate program at The New School that merges design thinking with time-tested journalistic principles and practice. Follow us on Twitter @JournoDesign. Laura Cochran is a designer and journalist, formerly at The Washington Post. She's now User Experience Lead on the platform team at Condé Nast where she works closely with editors at Vanity Fair, Vogue, Condé Nast Traveler, Epicurious.